Thomas Bentzen is a Copenhagen-based designer, working to infuse his designs with a refined simplicity. His work ranges from tableware to interior design, from furniture to industrial design. His passion is to create objects that engage and create curiosity, which are functional, simple and meet the human need while in use – and simply create joy. 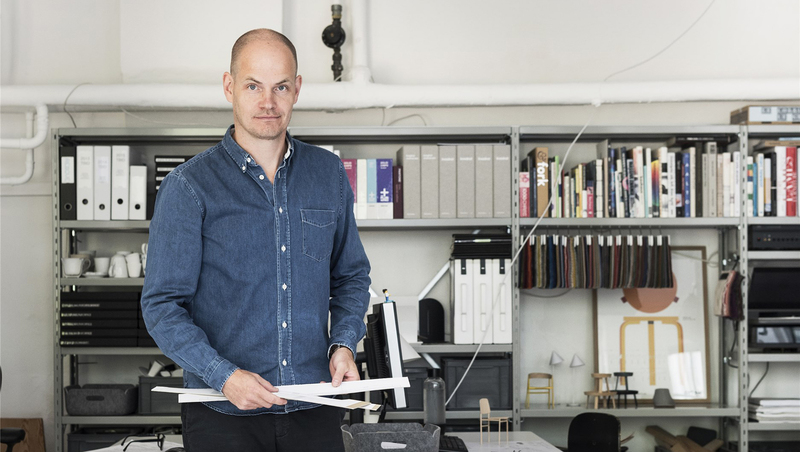 Bentzen graduated from the furniture and interiors line of Danmarks Designskole in 2003. One year before graduation, Bentzen and three of his fellow students established the Danish design group REMOVE. 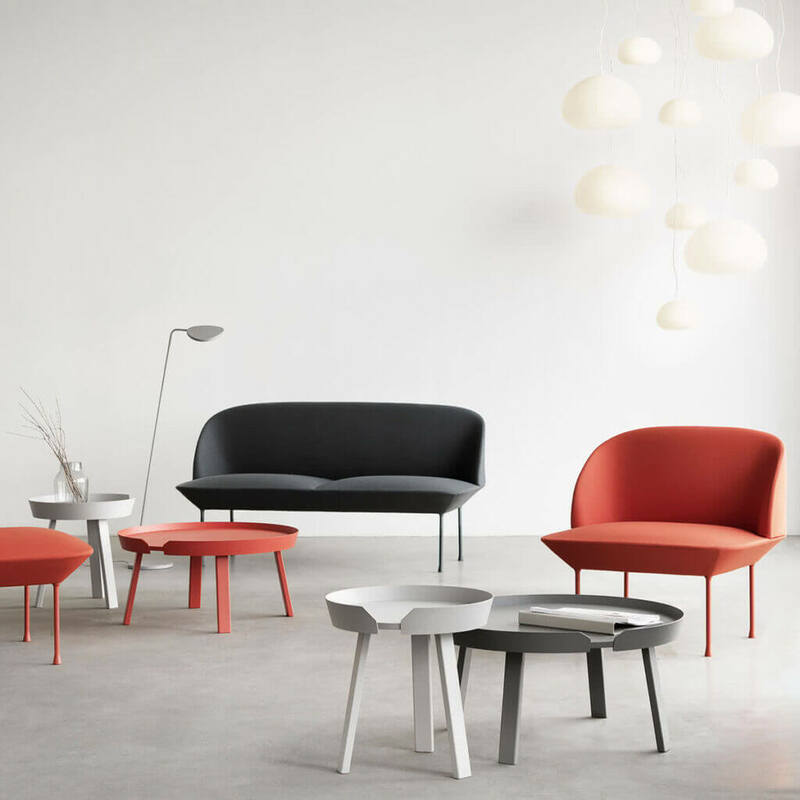 The group quickly drew attention to themselves by getting invited to furnish a café at the Danish Design Centre in cooperation with a number of other Danish designers. 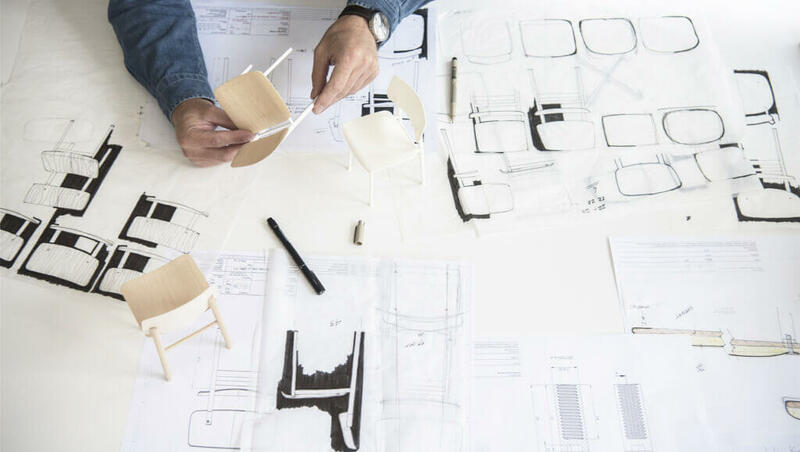 After that, Thomas Bentzen worked as Head of Design for Muuto from 2013 to 2015, and as Design Manager from 2011 to 2013. From 2005 to 2010, he was Senior Designer and subsequently Partner at Studio Louise Campbell. Today Bentzen works in his own studio – Thomas Benztzen Industrial Design. Thomas Bentzen’s design is characterized by simplicity, rationality and functionality. With simple and narrative designs, he creates meaningful products for everyday life.Thomas’s passion is to design products that engage and create curiosity, that are functional, simple and meet the human need while in use. He persistently explores form and function and the potentials of the materials in his pursuit to design long-lasting and durable products. Bentzen designs his furniture using a simple, legible graphical touch that slots itself into a typically Scandinavian design tradition. Working under his own name, he has participated in several furniture fairs in Denmark and abroad. 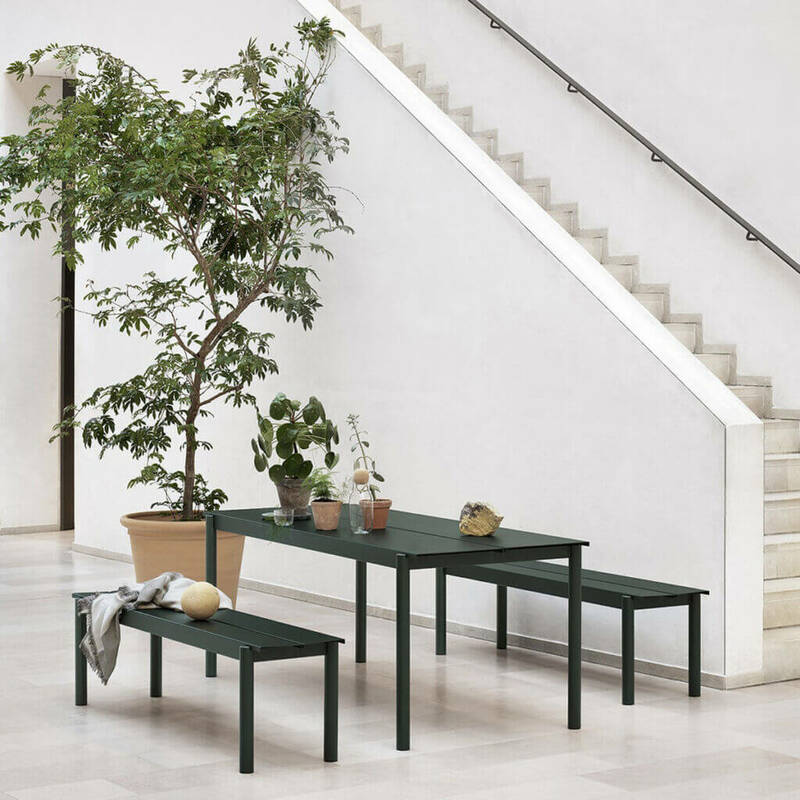 In collaboration with Danish design house Muuto, he created a several well-known pieces : Loft Chair, Cover Chair, Around Coffee Table, Enfold Sideboard and first collection of outdoor furniture – Linear Steel Series. Loft Chair is all about refined simplicity, comfort, and functionality. The chair carries a strong expression, joining together the complementing opposites of robustness and elegance. 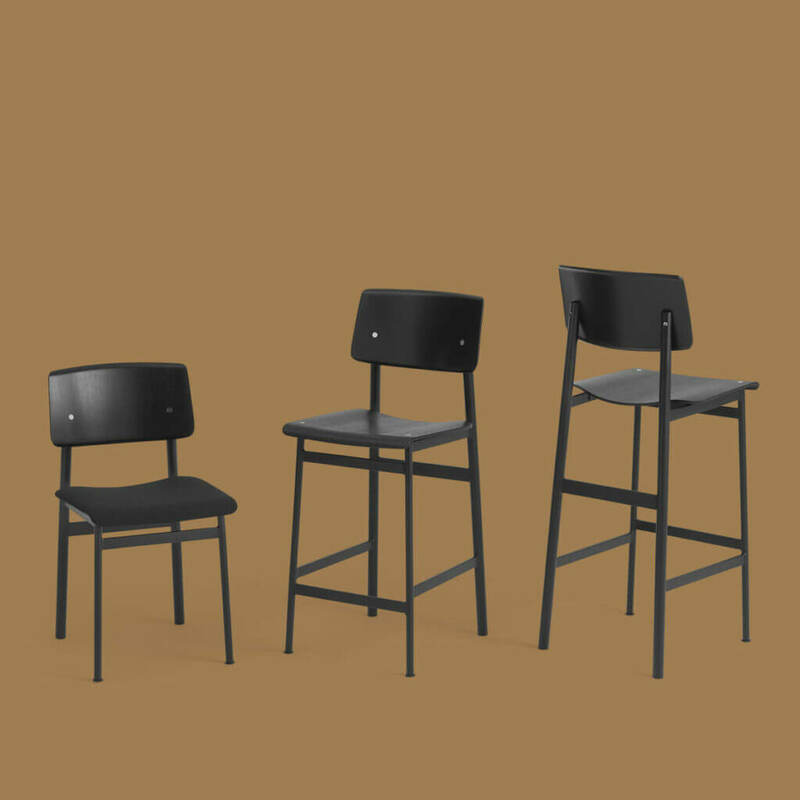 Its combination of warm and cold materials – wood for the seat and back, metal for the frame – makes for an industrial appeal with soft features. Cover was born from a desire to create a comfortable and contemporary armchair in wood. I aimed for a crisp and vivid expression in the plywood while looking for a solid and grounded look in the frame and base of the chair. Three years of play and hard work in the making has resulted in a light—yet strong—armchair, taking the molded veneer to its extreme. Around Coffee Table is both simple and vivid. Inspired by the 50’s and 60’s Scandinavian furniture masters’ crafted edges but with a contemporary feel—built in a contemporary way. Around is a place to gather and the edge of the table will keep your things in place. Made from a lacquered steel that gently enfolds the components in solid oak, the Enfold Sideboard fuses cold and warm materials. 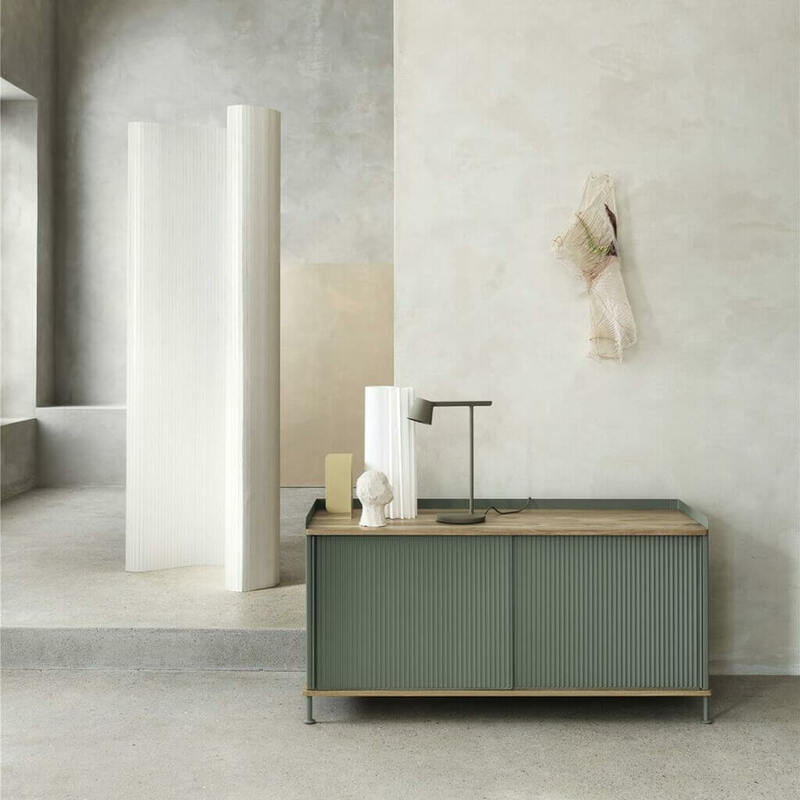 The Enfold Sideboard comes in two sizes: one vertical, one horizontal, both with a set of adjustable shelves. Inspired by the ideas of meetings, Thomas Bentzen has infused the Linear Outdoor Series with subtle detailing through its half-circular intersecting legs, folded edges and small spacing for easy outflow of water. The Linear Steel Series is designed in a lacquered steel that has been powder coated for a matte feel in four different colors: Black, Off-White, Dark Green and Burnt Orange. This collection consists of a table and bench in various sizes, characterized by their light and almost hovering sentiments while adding functionality and aesthetic appeal to any garden, café or workplace area. 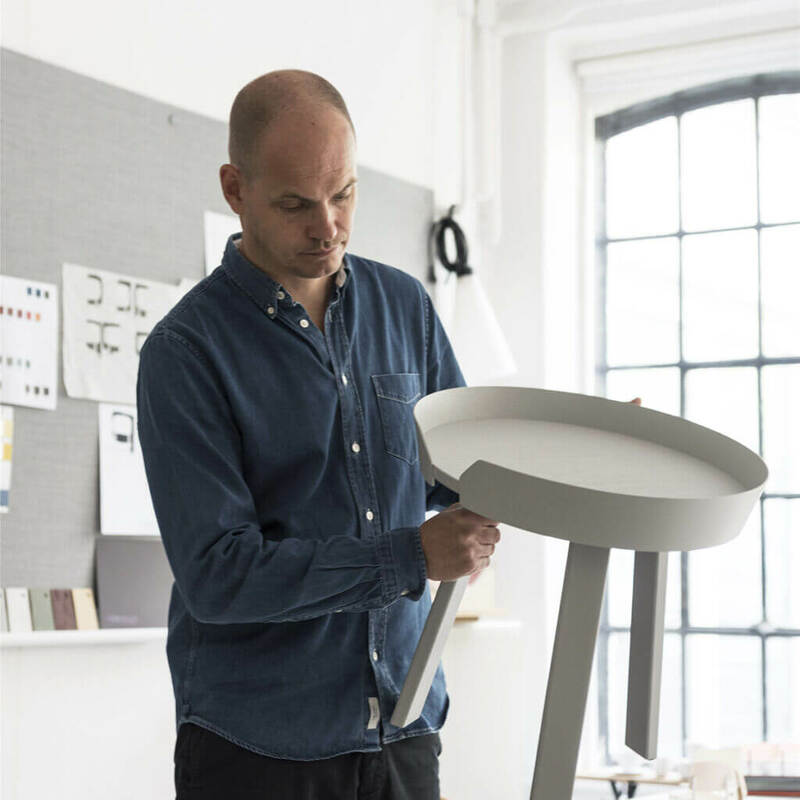 Thomas Bentzen is firmly rooted in the Danish design tradition, emphasizing material knowledge, craftsmanship and rational industrial manufacturing processes. Prototyping and model making are key elements in his design process and because of that his success in design world is deserved.